Divorce Law | Barbara J Ingram Esq. We understand that addressing a divorce while under the intense emotional strain it typically causes can be very trying; it is our mission to provide firm advocacy with a gentle hand to help you through this difficult time. Get personal help for every step of the process. Every marital situation is different, and so you need a lawyer who is committed to understanding your unique circumstances. 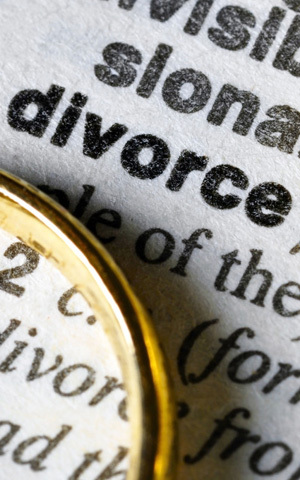 Our firm will handle all aspects of the dissolution of marriage (divorce) in Florida according to your specific needs. During divorce proceedings, marital assets and/or liabilities must be identified, assigned value, and distributed. Settle issues relating to alimony or spousal support to ensure that future financial stability isn’t a roadblock. When settling your divorce, it’s important to remember the needs of your children will also be affected. Address custody, visitation, and child support. For more information, visit our Child Custody page.